With its boulevards and bohemians, Paris lives up to its reputation as headquarters for the intellectually curious. The glittering jewel of the Seine. 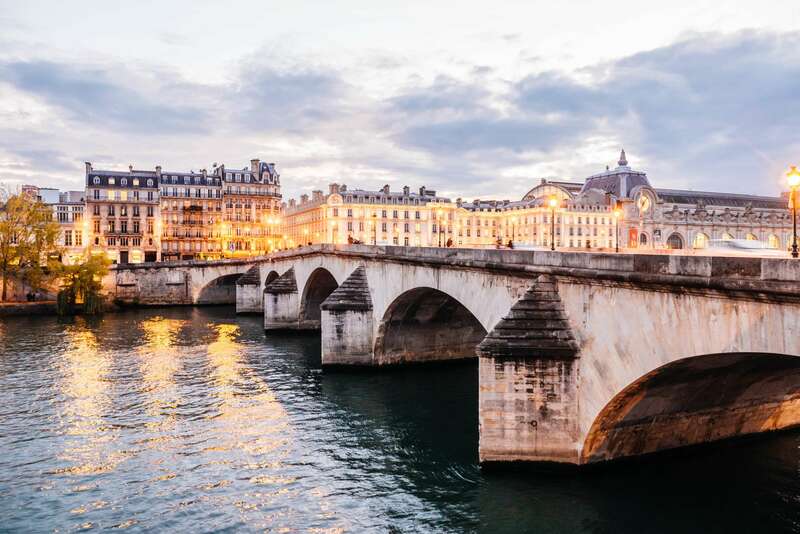 Birthplace of gothic architecture, hotbed of the Age of Enlightenment, cultural capital par excellence—there's a reason why Paris has so many nicknames. This endlessly fascinating city has many layers: from its medieval Gothic period, when churches like Notre Dame sprung up, to the 1789 Revolution, when the Bastille was torn down, to the Second Empire, when 19th-century urban planner Hausmann built the grand boulevards, and to the 20th century, when modernist architects like Le Corbusier constructed sleek streamlined buildings and experimented with a new vision of the city. That sense of invention has inspired French culture—including literature, art, fashion, and food. Immerse yourself in the grand splendor of Paris with Context's private and semi-private guided tours. We run over 30 different private and semi-private guided tours in Paris, including tours for kids, food tours, and art tours. What's our favorite? Well, it's hard to go wrong with our private Paris chocolate tour, an intellectually curious look at the world-conquering sweet that covers everything from how such an innocuous bean became so beloved to why Paris might be the best city for chocolate in the world. We also love our Musee d'Orsay Tour with an art historian, covering one of the most exciting and noteworthy periods of art in a city that has never had a dull moment in the development of creative expression—a highlight among our tours of Paris. If we're feeling bohemian then let's alight to the 18th arr. for our Montmartre Walking Tour, where we'll learn all about Lautrec, Picasso, and the rest of the avant-garde community of the late-19th and early-20th century. Expect bohemian culture in an idyllic enclave, where everyone from Mondrian to Modigliani lived or worked.